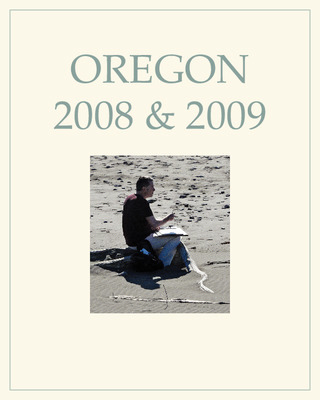 Banner for the exhibition Michael Gallagher: Sketching the Landscape – A Plein Air Journal. Introductory panel for the exhibition Michael Gallagher: Sketching the Landscape – A Plein Air Journal. 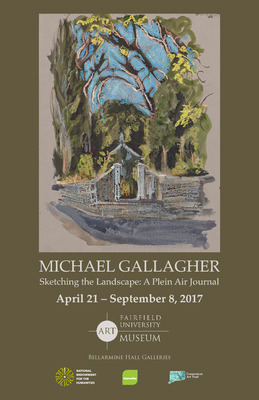 Postcard invitation for the opening reception of the exhibition Michael Gallagher: Sketching the Landscape – A Plein Air Journal. Poster for the exhibition Michael Gallagher: Sketching the Landscape – A Plein Air Journal. 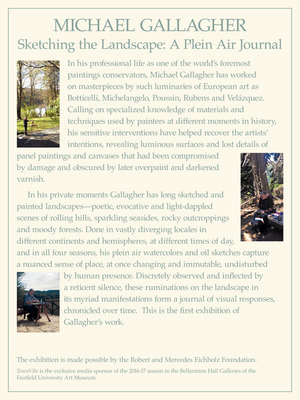 Rack card for the exhibition Michael Gallagher: Sketching the Landscape – A Plein Air Journal. 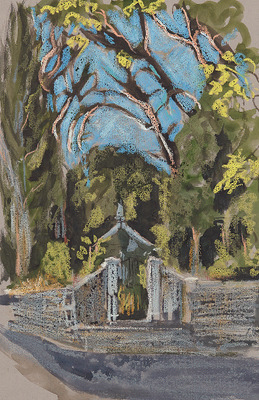 Wall labels for the exhibition Michael Gallagher: Sketching the Landscape – A Plein Air Journal.